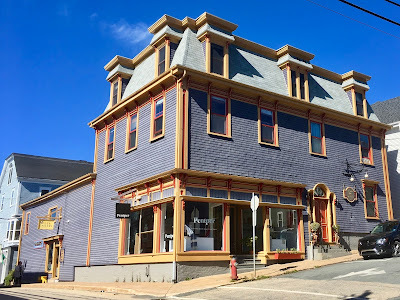 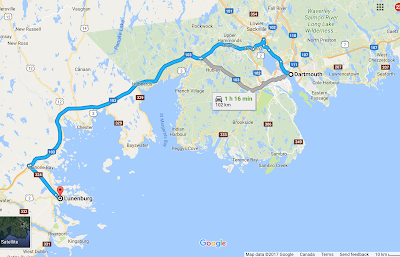 The town is about a 1.5 hour drive south of Halifax. Laid out on a British colonial grid pattern, the result is perfectly straight streets regardless of the hilly terrain. 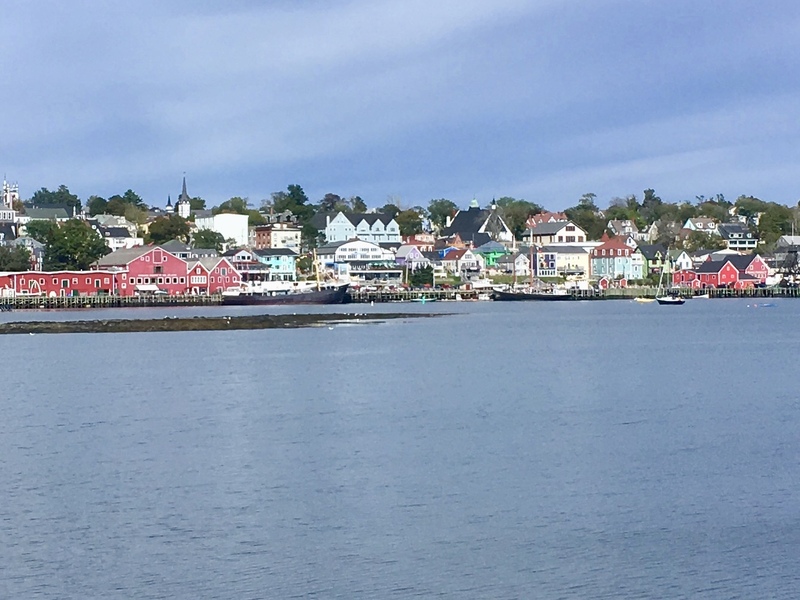 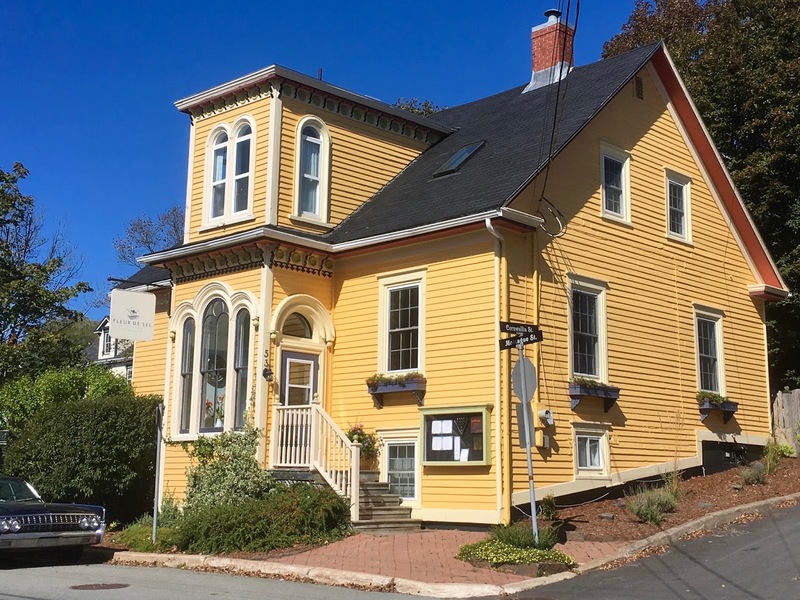 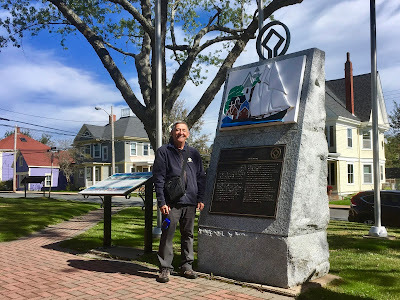 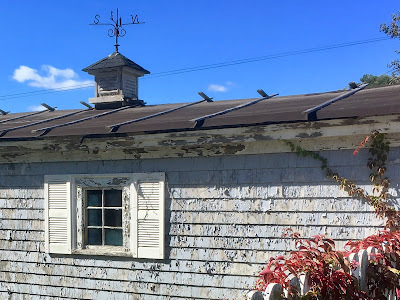 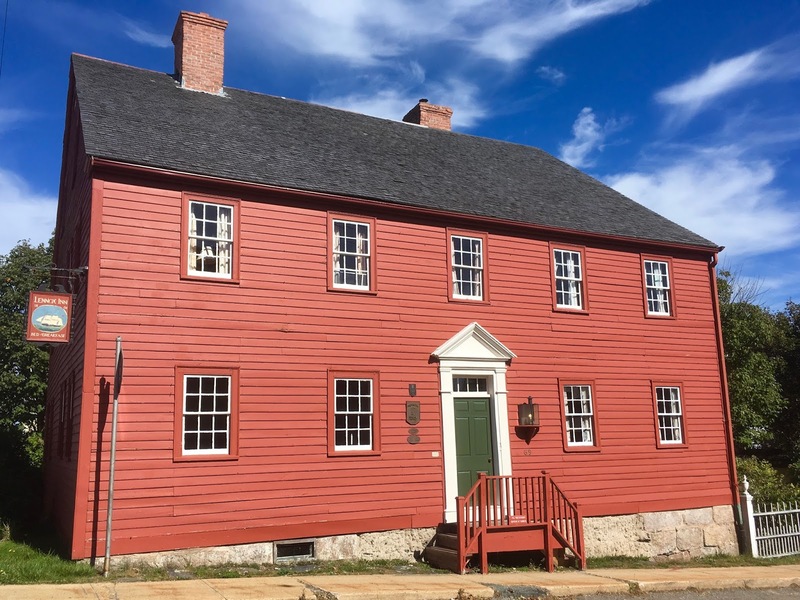 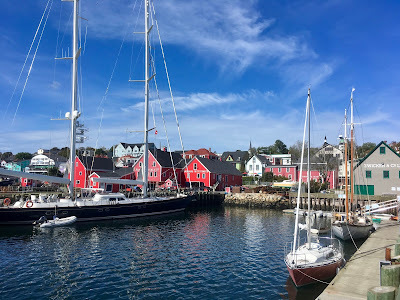 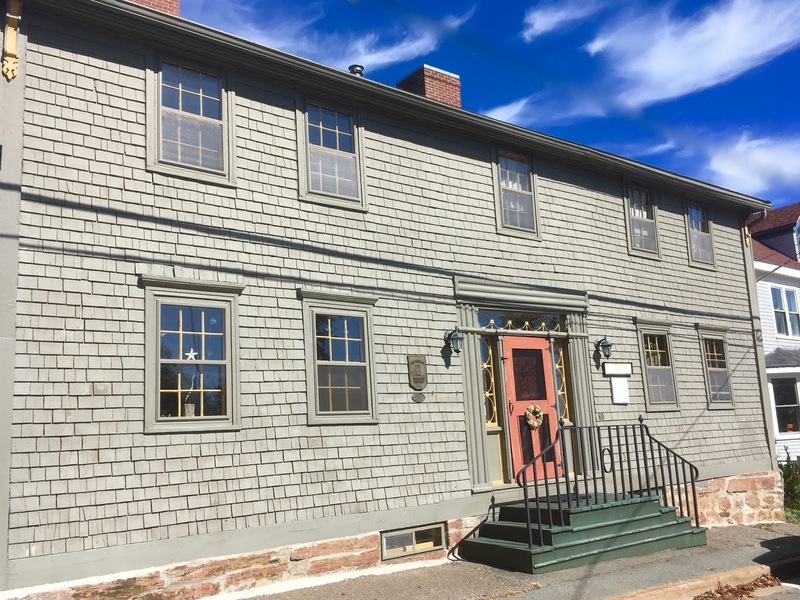 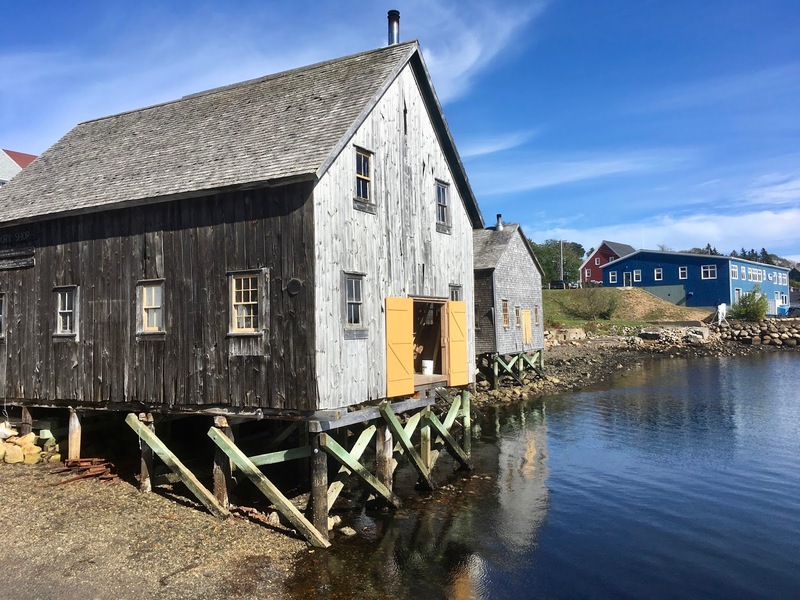 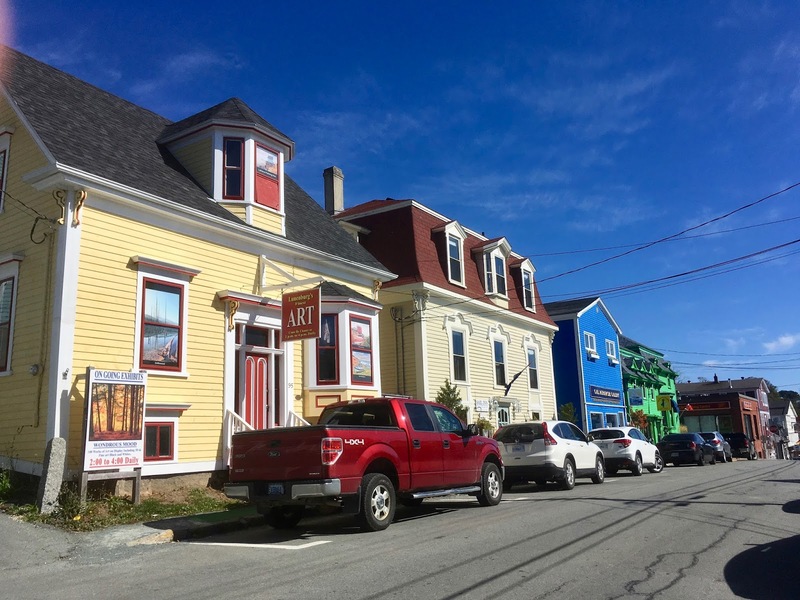 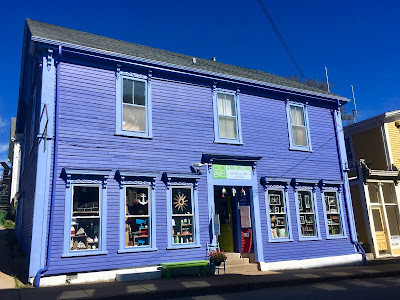 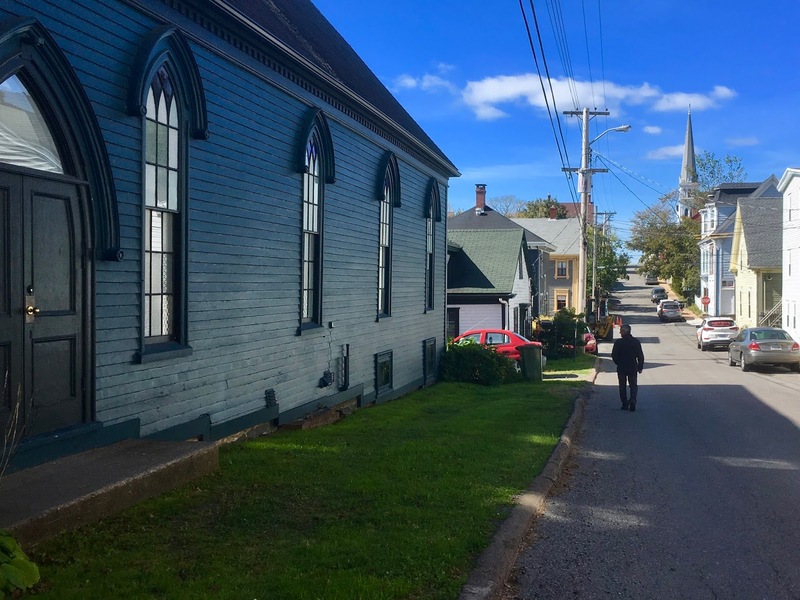 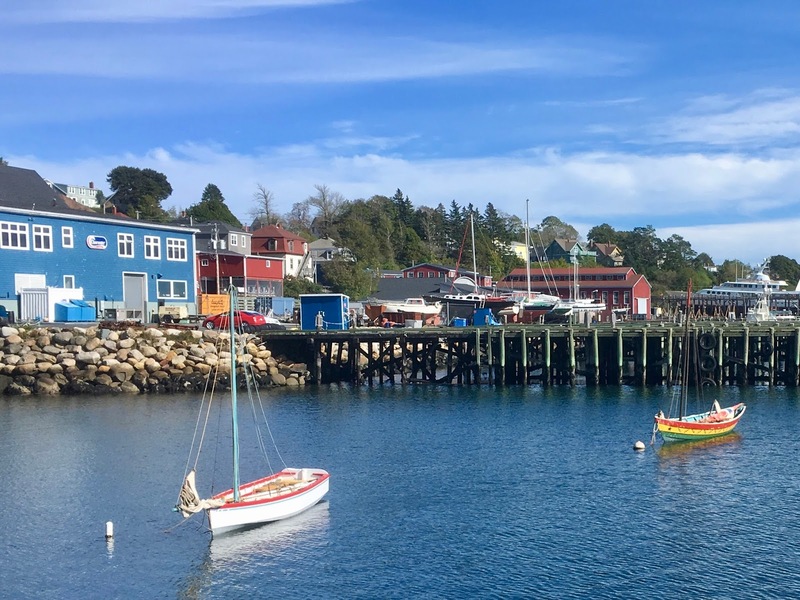 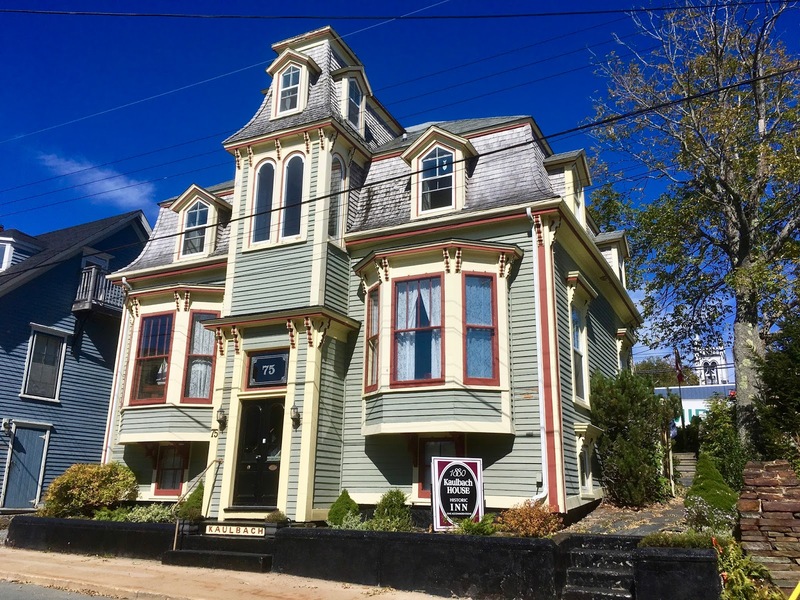 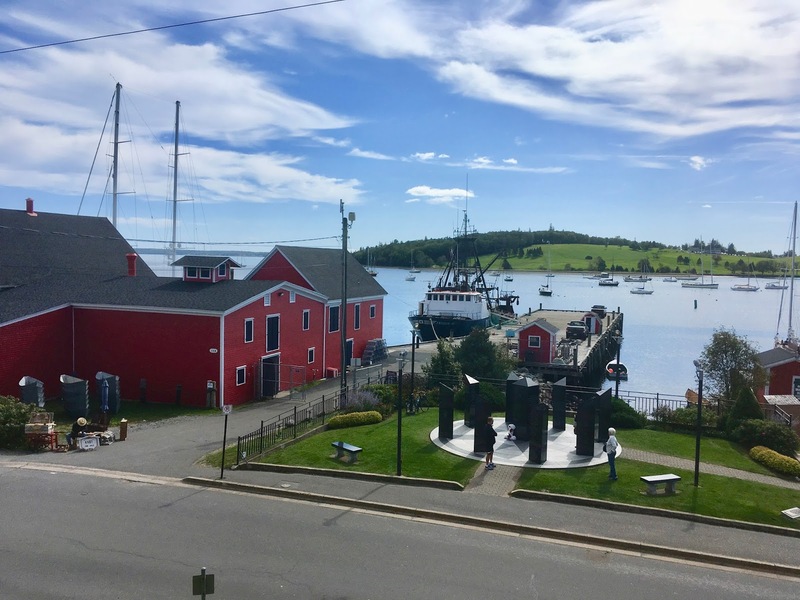 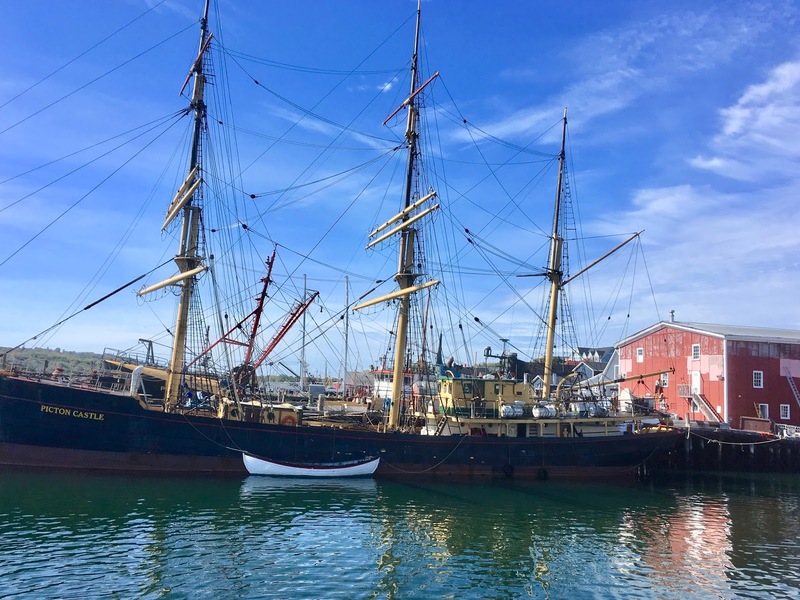 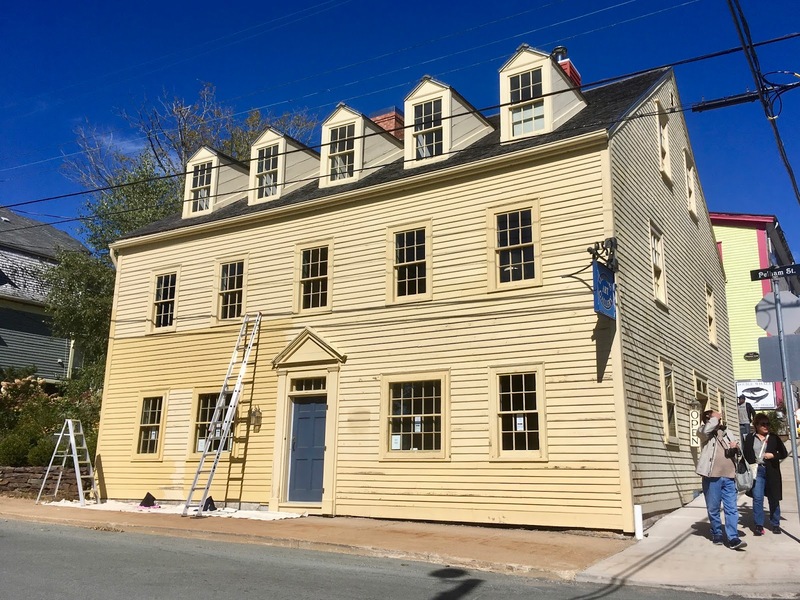 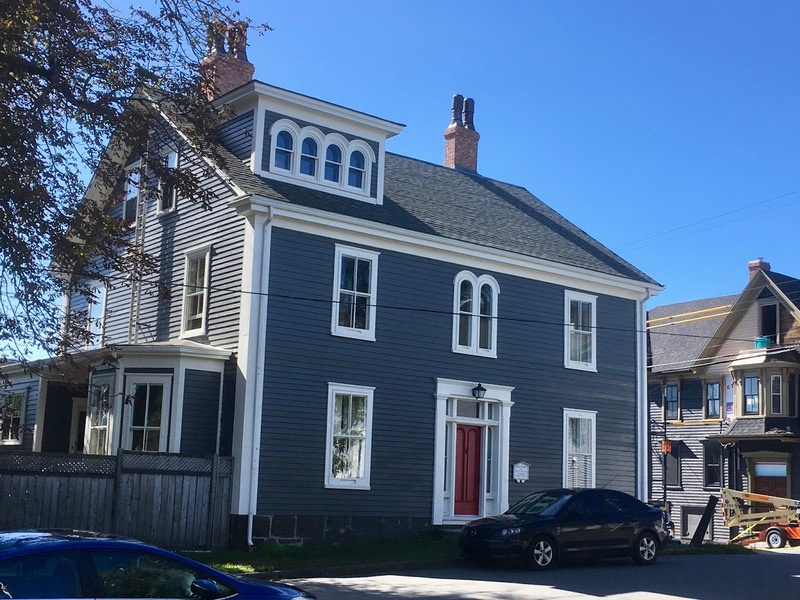 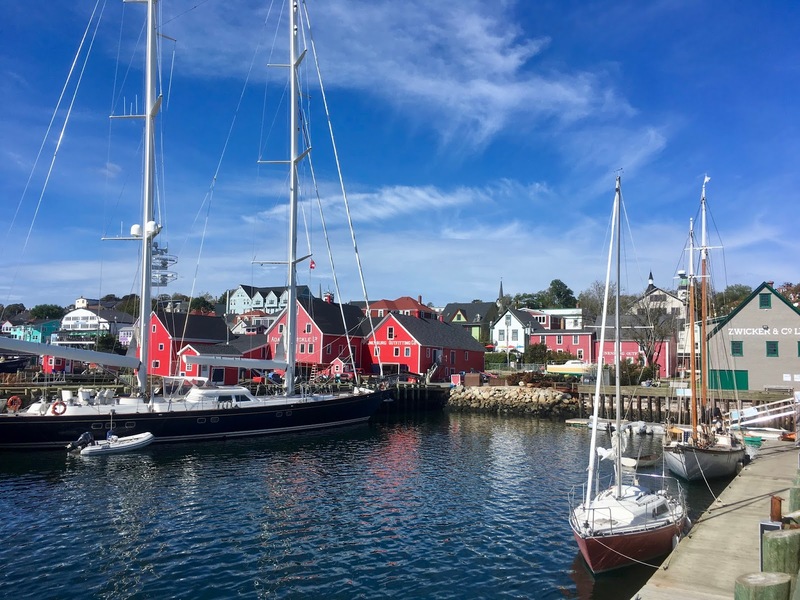 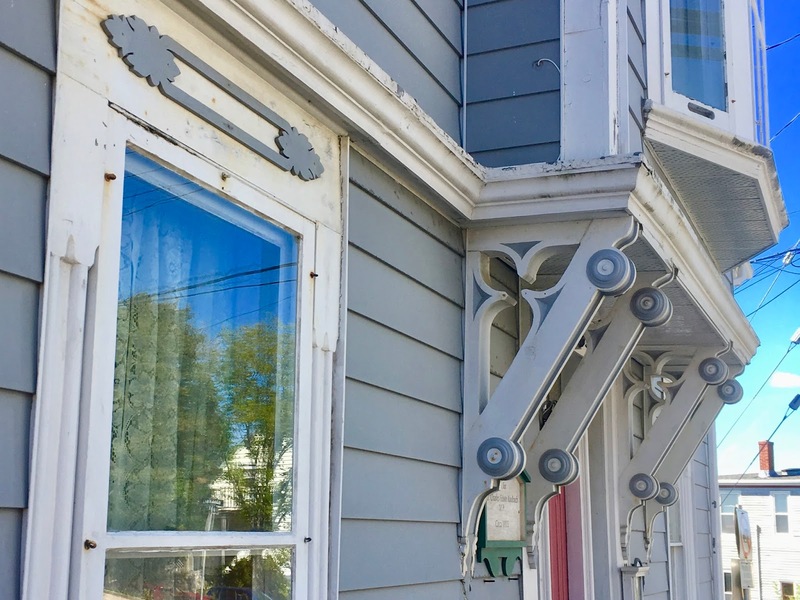 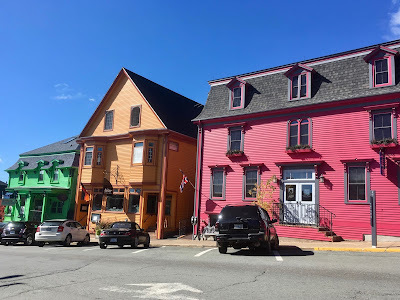 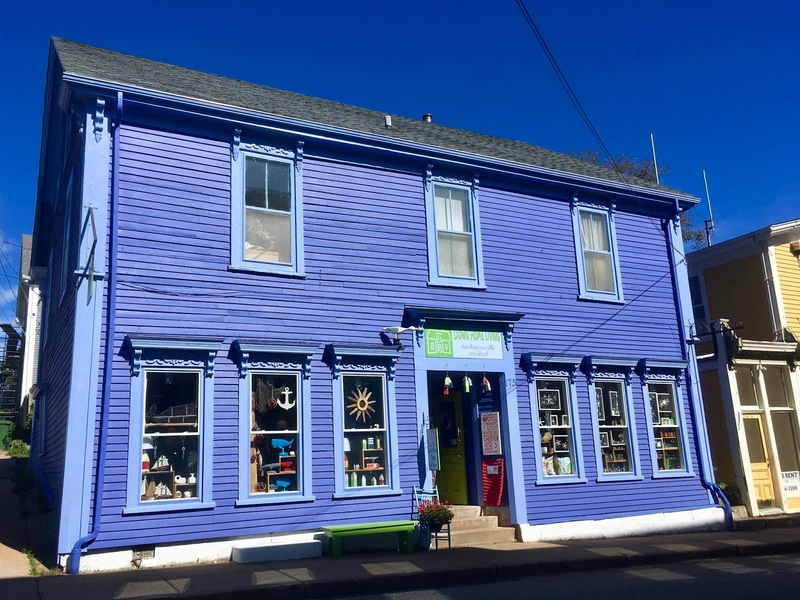 The majority of Lunenburg residents were originally fishermen, but quickly discovered boat building was more lucrative. 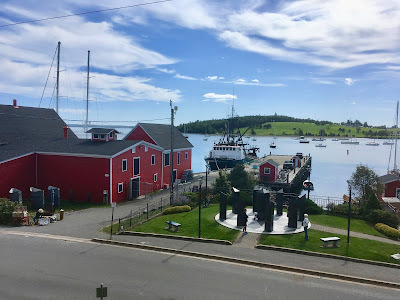 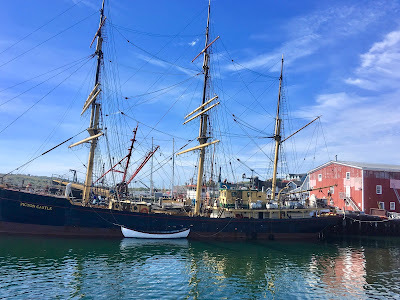 Today the town continues to be a boat building area and while it is home to the Bluenose II we did not see it! 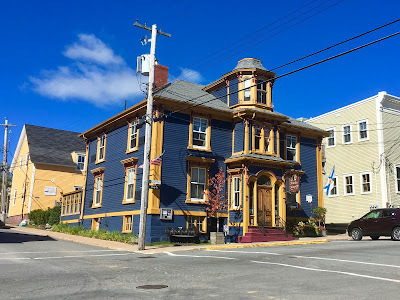 It is the colourful colonial 18th and 19th century architecture, however, that captivates the visitor. 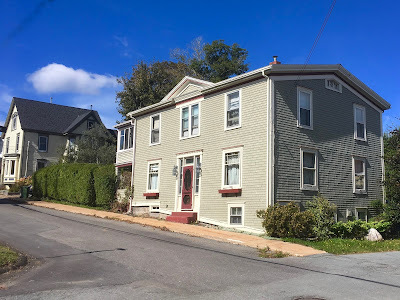 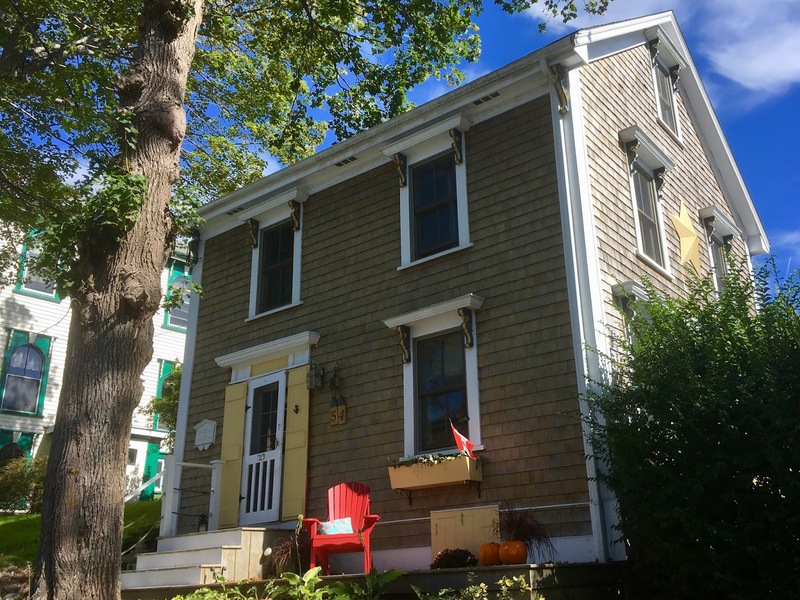 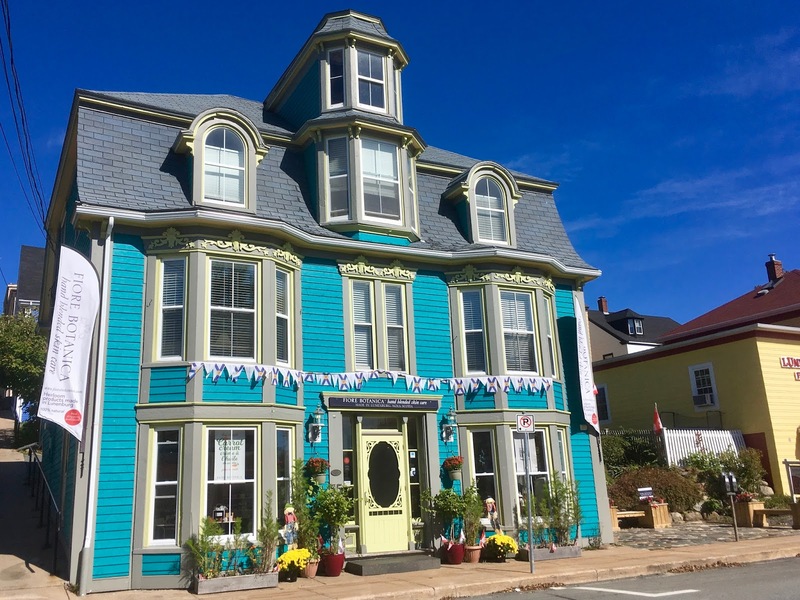 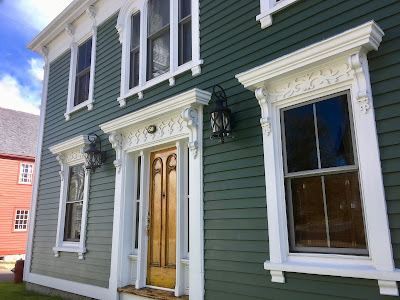 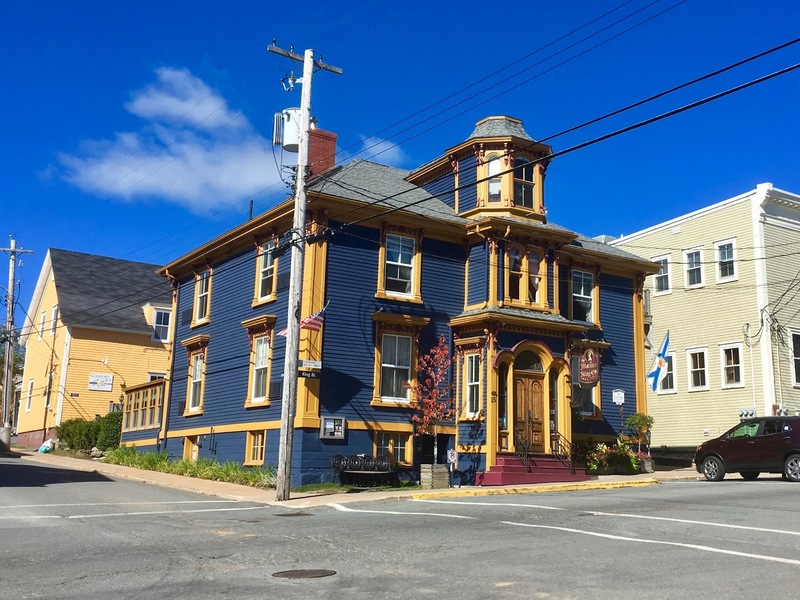 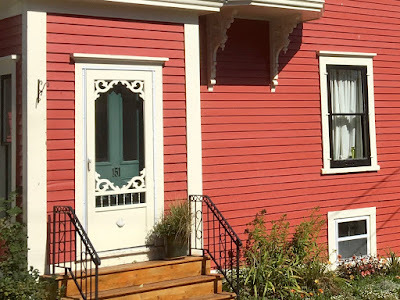 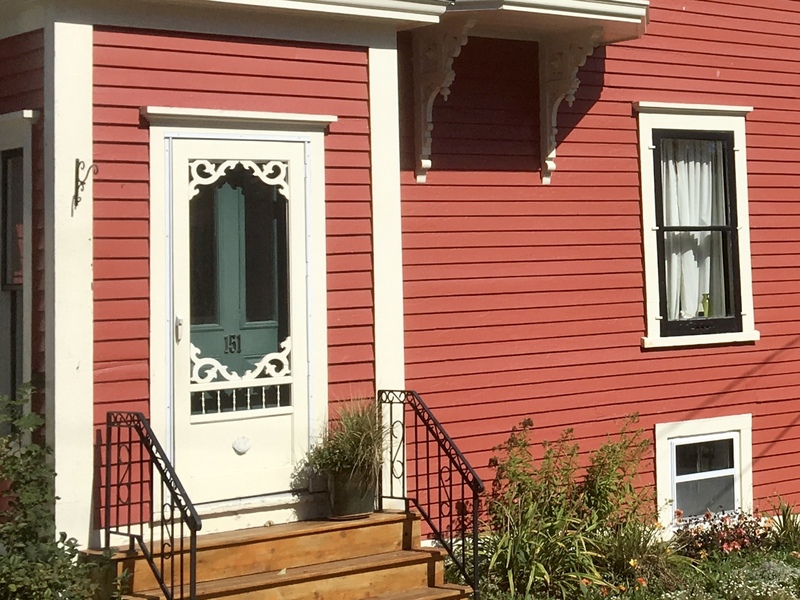 Around every corner is another colourful home with details that just scream British maritime colonial! 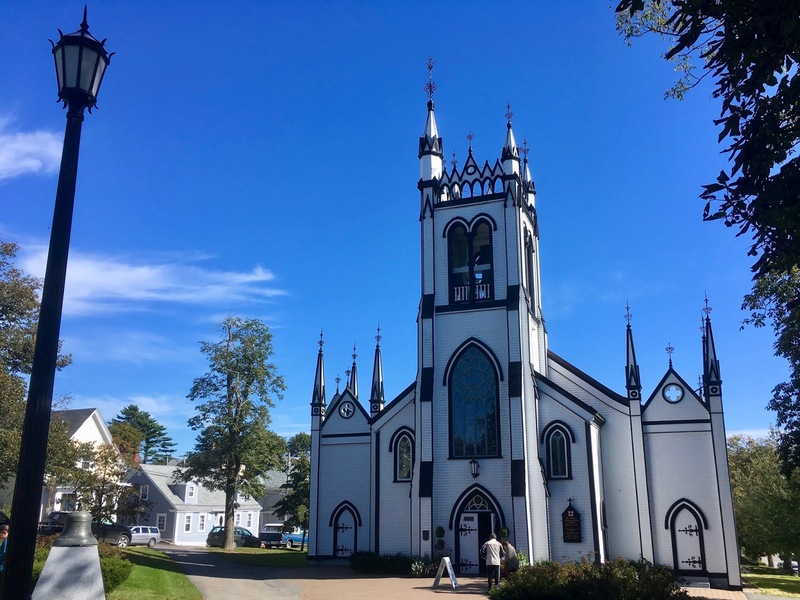 St. John's Anglican Church began in 1753. 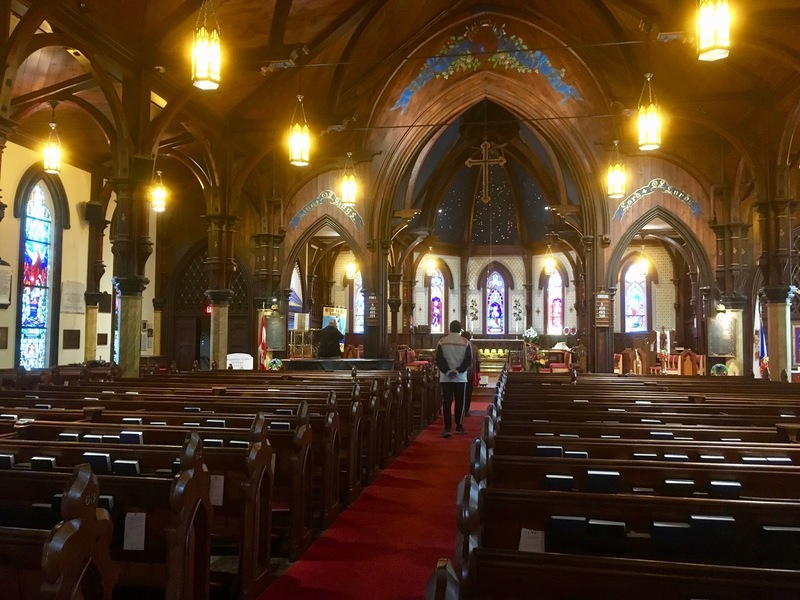 After a major fire in 2001 it reopened its doors in 2005 and remains the second oldest Church of England in Canada. 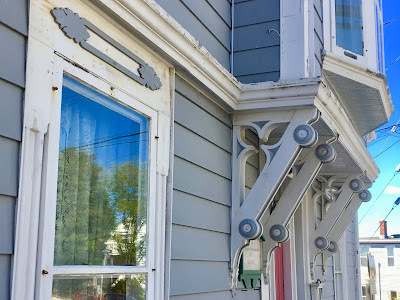 I love the architecture detailing on this home. 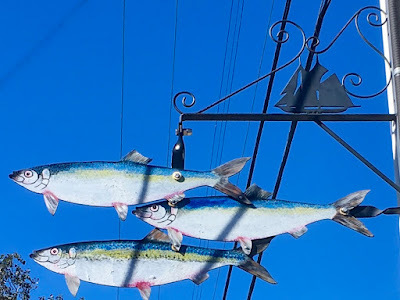 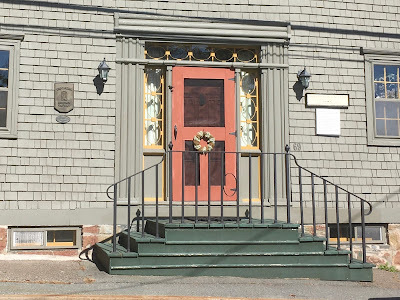 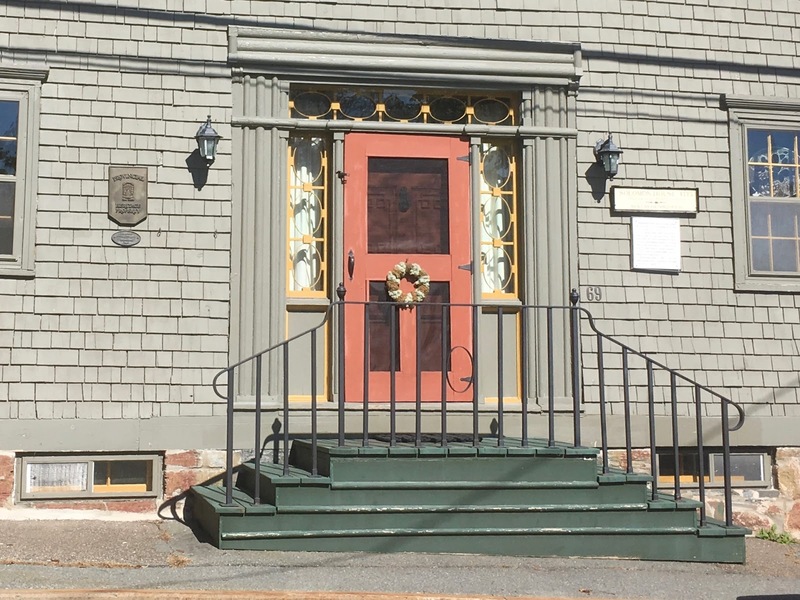 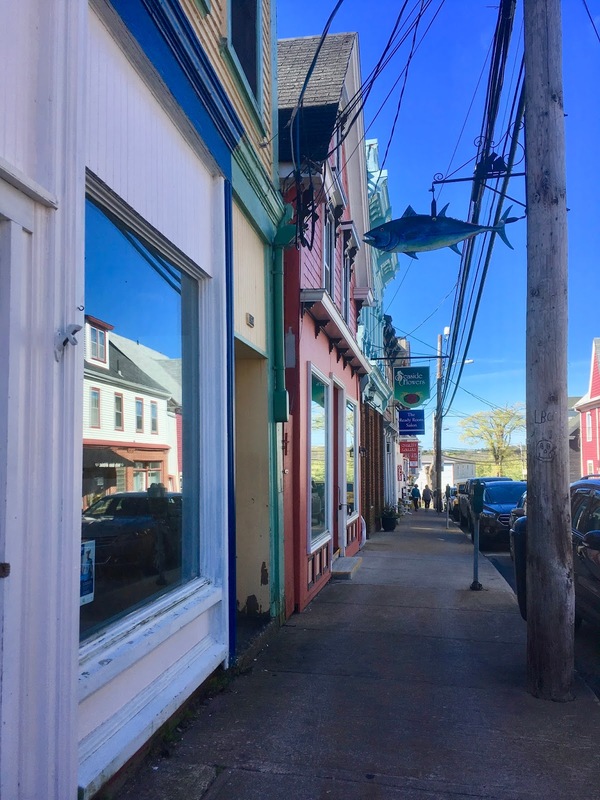 Lunenburg's nautical street signs are unique to this town. 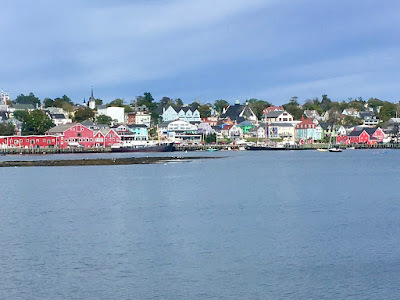 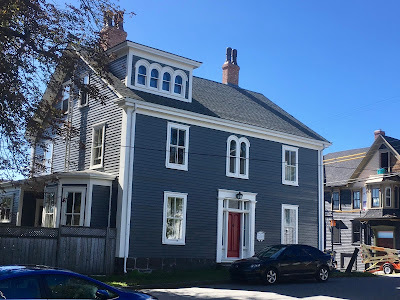 As luck would have it we arrived in Lunenburg slightly after the official summer tourist season and were disappointed to find many shops and buildings closed. 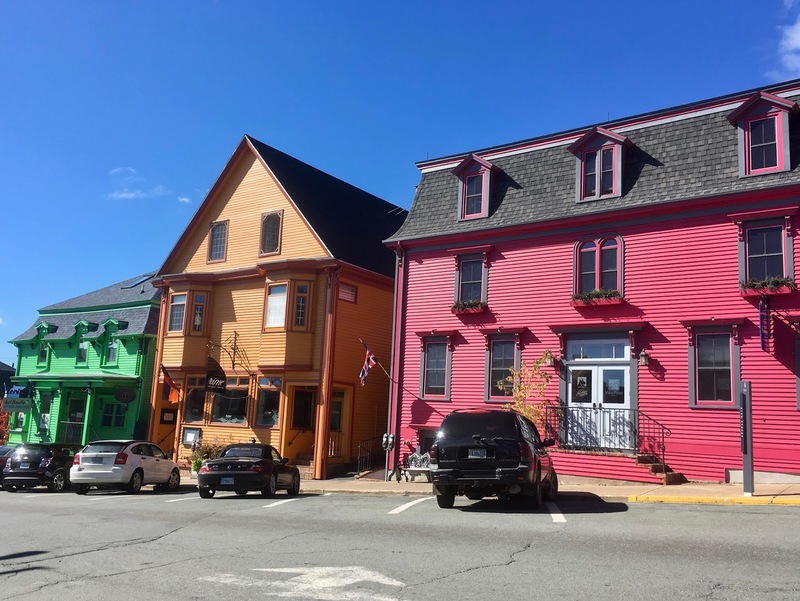 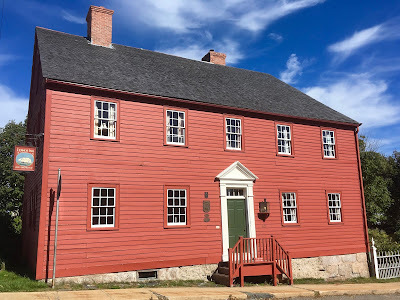 Locals seemed more than ready to reclaim their town as their own in spite of the continuous stream of tour buses that arrived with visitors from around the world. Still, it was worth a visit and we were so fortunate to have such a glorious sunny day to take it all in.